Hi friends! 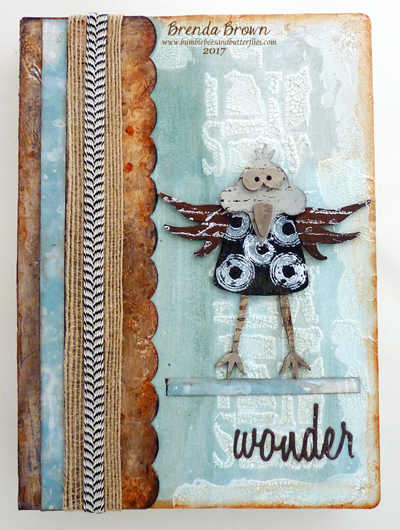 Dana here today sharing the card I created for the Crackle Theme this week. I had a lot of fun with colors and patterns for this project. 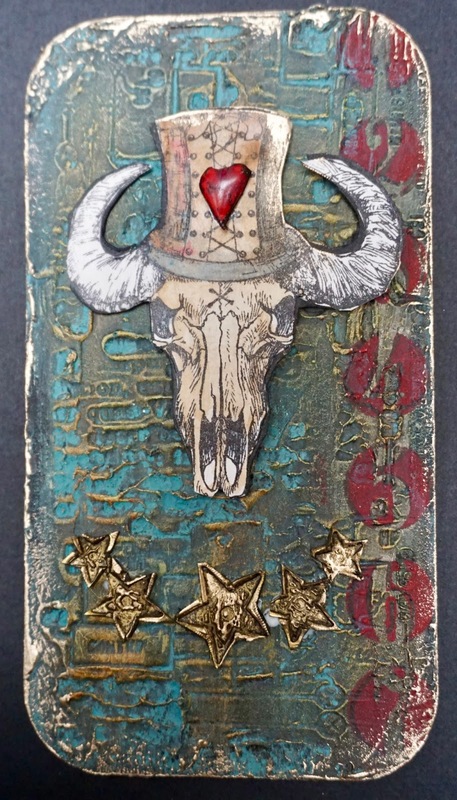 I assembled a simple layered card base and wanted to create a fun focal point. 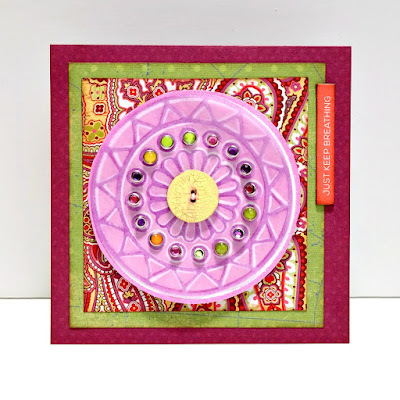 I used the Valley Road Positive and Negative Foam Stamp Set from Nathalie Kalbach with ink on white cardstock and vellum to create a 2-layer circle piece for the center of the card. 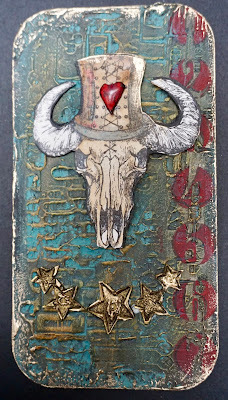 Next, I filled the holes in the middle of the stamping with jeweled brads. 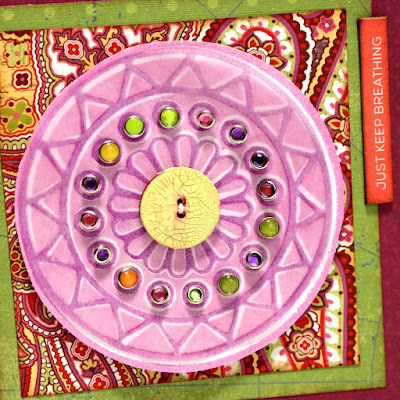 Finally, I stitched a Button that I painted first with DecoArt Cadmium Red Fluid Acrylic and then with a mix of Primary Yellow Fluid Acrylic and White Crackle Paste. I finished this card with a sentiment sticker. 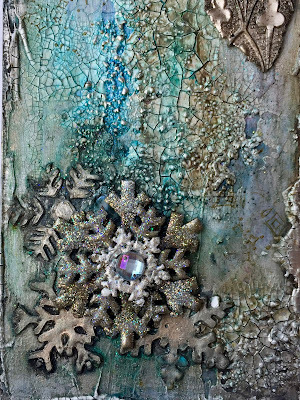 Hi Everyone Dee here with my crackle project for the week. 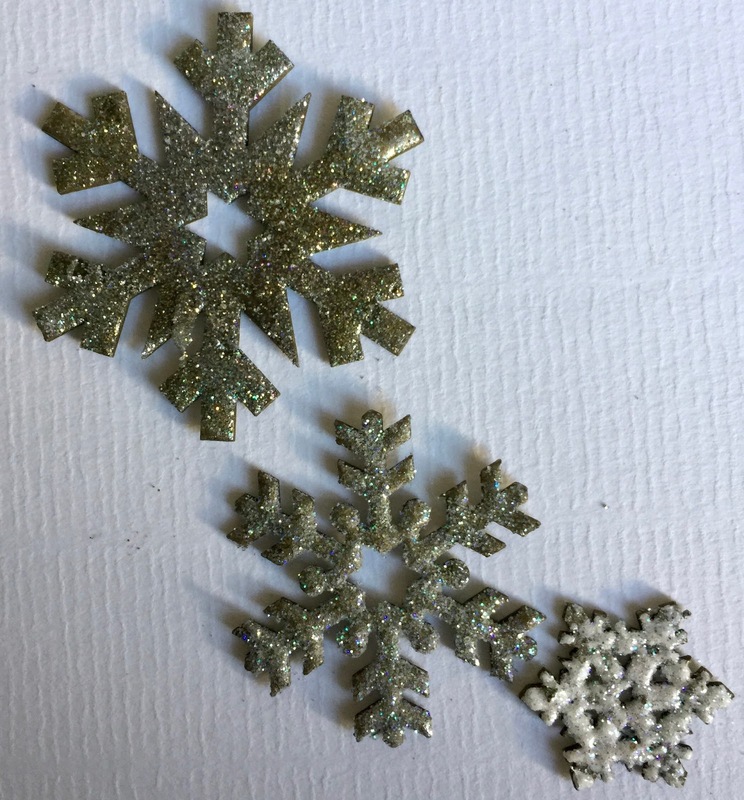 Tando :- Size 10 large tag, Mini mask snowflakes, pack of 5 snowflakes, Minis snowflakes. 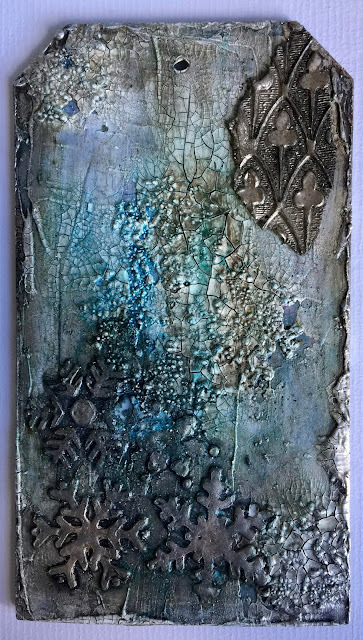 Deco Art:- Gesso, Dimensional paste, crackle paste, white modelling paste, glazing medium, Media Interference - Turquoise, & Black and Raw umber antiquing cream. 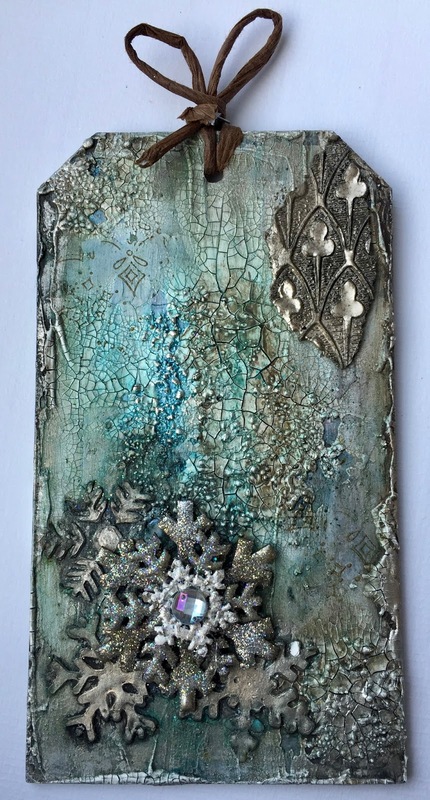 Stampendous:- Chunky Clear Embossing Enamel, Chunky Silver Embossing Enamels, Frantage Jewel Kit: SILVER. From my stash:- Lindy's stamp gang Industrial Chic- MAGICAL Shimmer Powders. at the base of the card I had put crackle paste & around the edges. 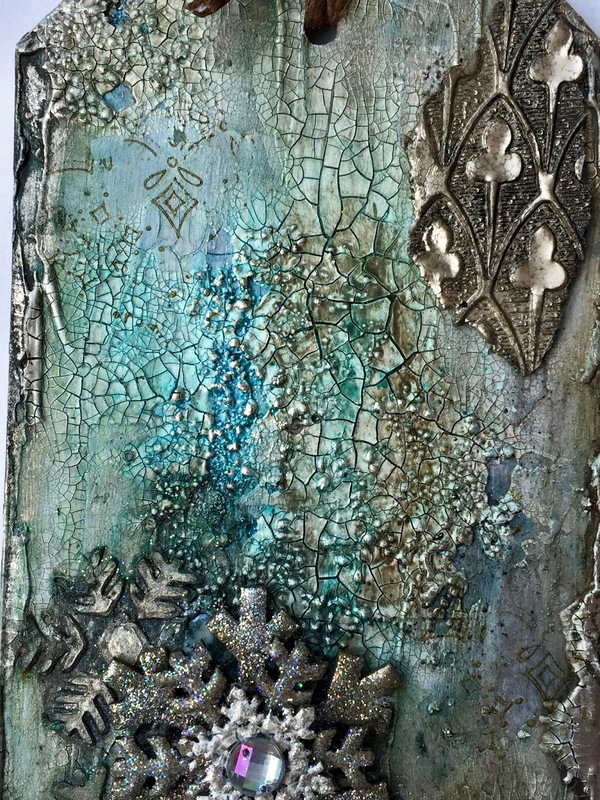 #Stampendous embossing enamels and glitters. 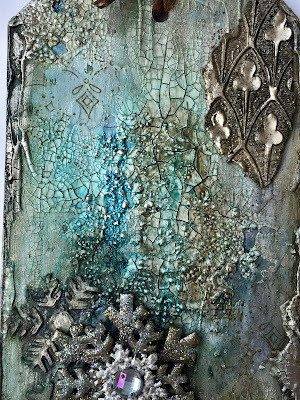 then used the Chocolate Baroque gothic stamps. 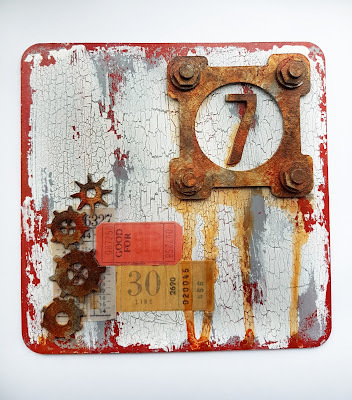 to brighten our week in a grungy way. Hello my dear crafty friends and welcome to my new Tando post. This time the designers were challenged to make projects with crackle and as you know DecoArt has the best crackle pastes ever! 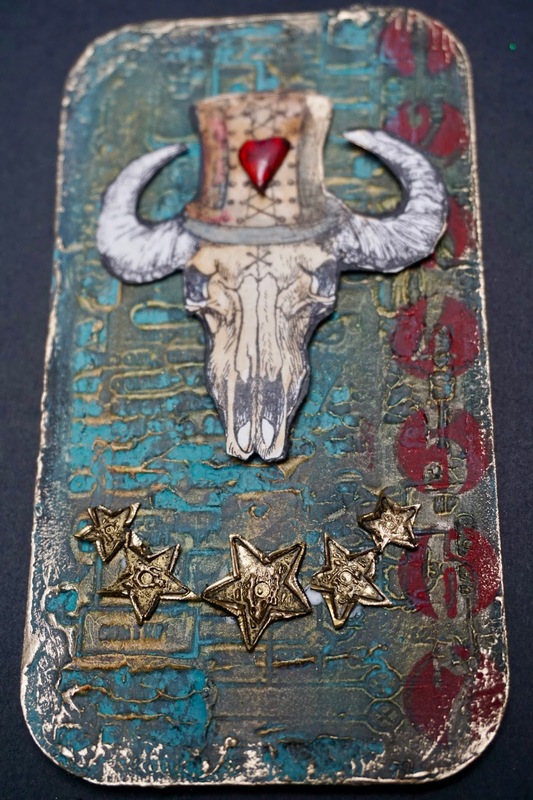 So to make this altered door hanger I used Tando chipboards and added DecoArt gold acrylic and then covered the paint with Crackle glaze. 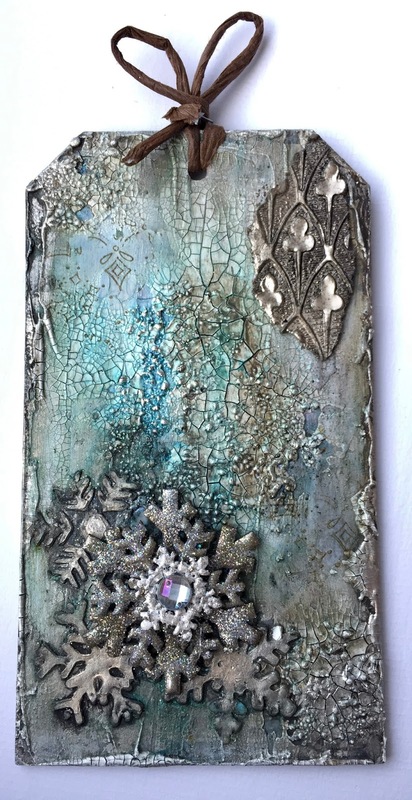 On the edges I added DecoArt crackle paste and misted it with gold mist. 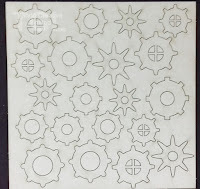 Here you can see the difference between both crackles and to pick whatever you like more for your own projects. 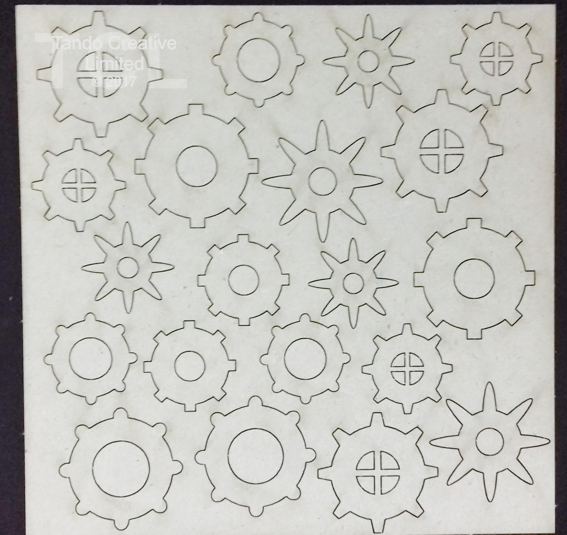 Hi folks and welcome to my blog post for Tando. This week, the theme is 'crackle'. Everyone loves a bit of crackle don't they??? 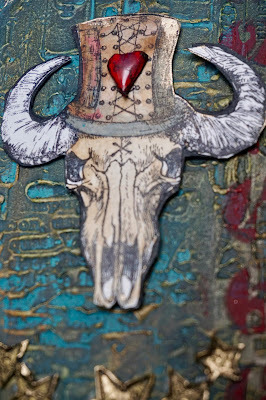 First, I added a layer of card stock with a wooden pattern over the front side of the tag with PVA glue and let dry. 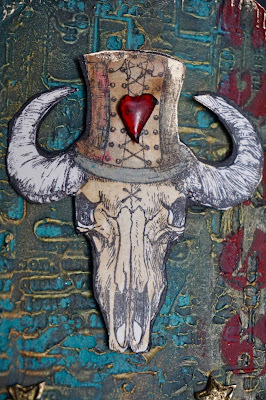 And painted the heart with DecoArt white gesso. I added DecoArt crackle paint all over the surface of the heart and around the edge of the tag. 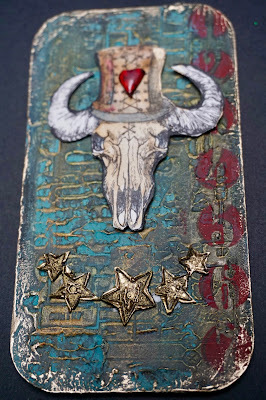 I used DecoArt texture sand paste and the Tando 4 x 4 distressed sequins mini stencil on the heart and the tag. Then used the paste around the edge of the tag. I painted the tag and the heart using DecoArt Media Fluid Acrylic paint. 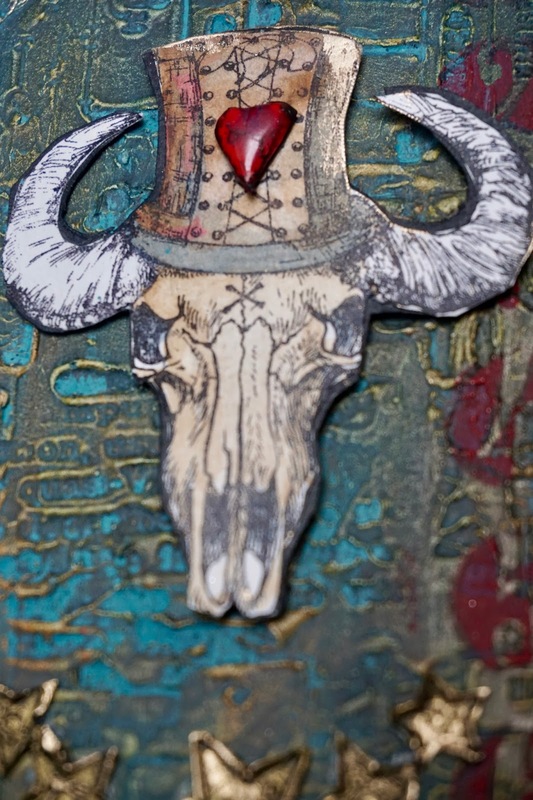 Then I added gold metallic paint on the heart. Thanks for popping by to view my blog post. Leave a comment if you wish, I love to hear your thoughts. 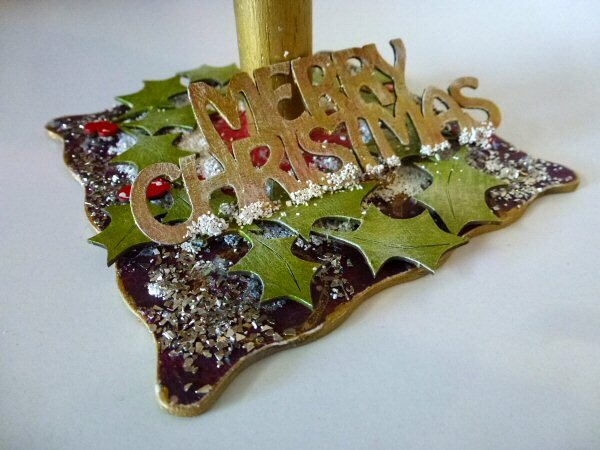 If you would like to pop over to my blog, here is the link. 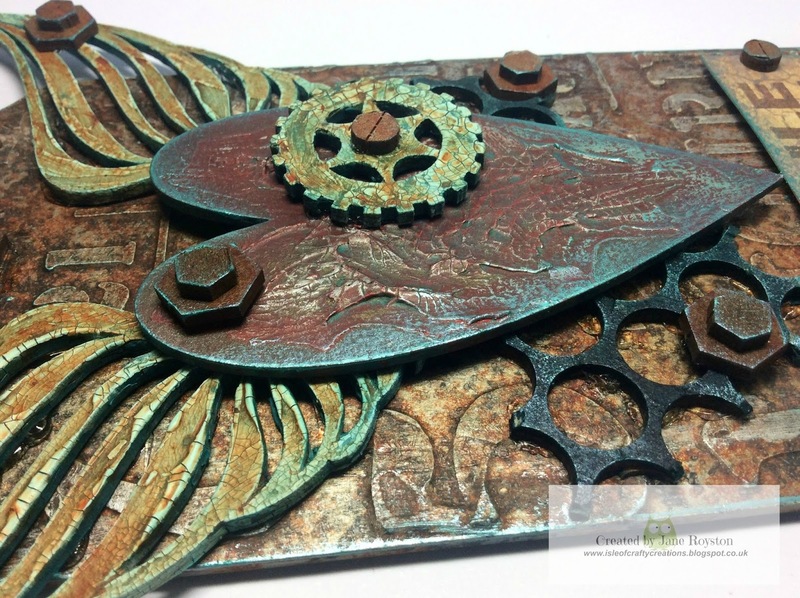 Everything I used to make this project is shown below and is available on the Tando Website. At the moment I seem to have a bit of a love of wings, so I decided to create a winged heart using the heart shape from the Industrial Wings kit plus one of the larger wing sets. 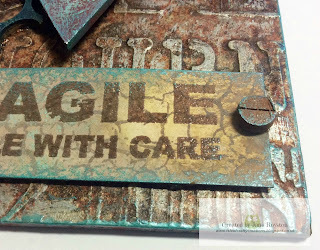 I started with the background on the tag using the Industrial Elements stencil and texture paste, then created a pitted and rusted metal effect using paint and salt (as demoed by Andy Skinner). As I wanted slightly bigger cracks on the heart I used the crackle paste, which was also painted then antiquing cream added. 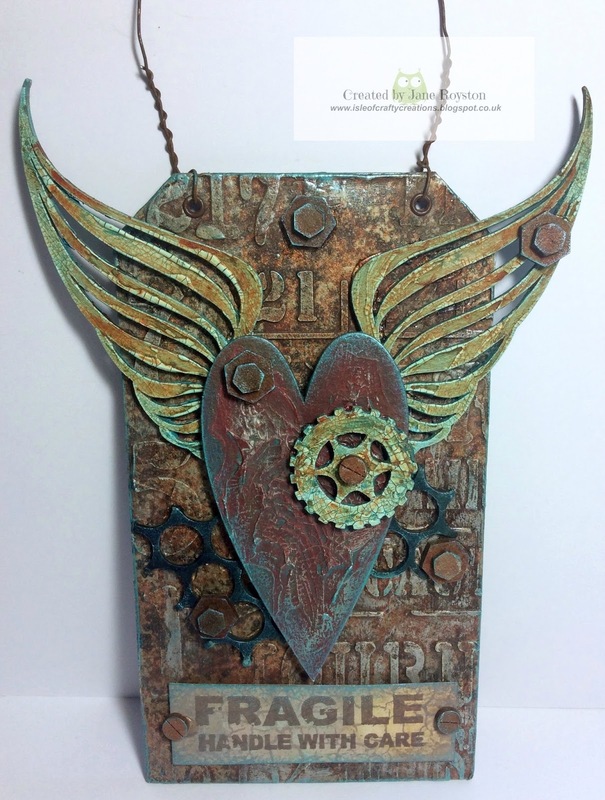 Touches of gilding wax were then added and finally I punched extra holes into my grey board tag to create a rusty wire hanger! Hi all, Hannah here with yummy crackle post for you! 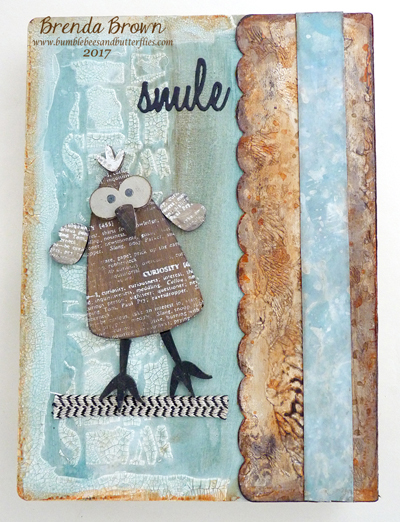 Here we have one of the tags from Kate Cranes Tag Kit painted with layers of DecoArt Chalk Paints. Using the wax resist technique, layers are rubbed away to reveal the colours underneath. 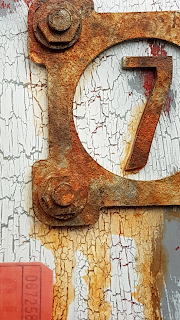 On top of this a I painted a layer of DecoArt Weathered Wood, and once dry a layer of white chalk paint was added to create the crackle effect. 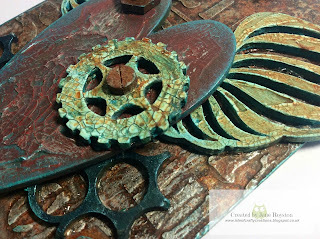 On to the background embellishments have been added, painted with a rusty technique created using DecoArt Media Fluid Acylics. 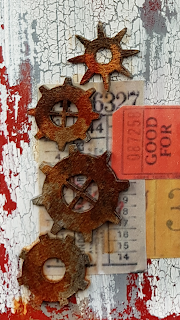 A few more rusty embellishments have been added, along with some vintage style tickets. 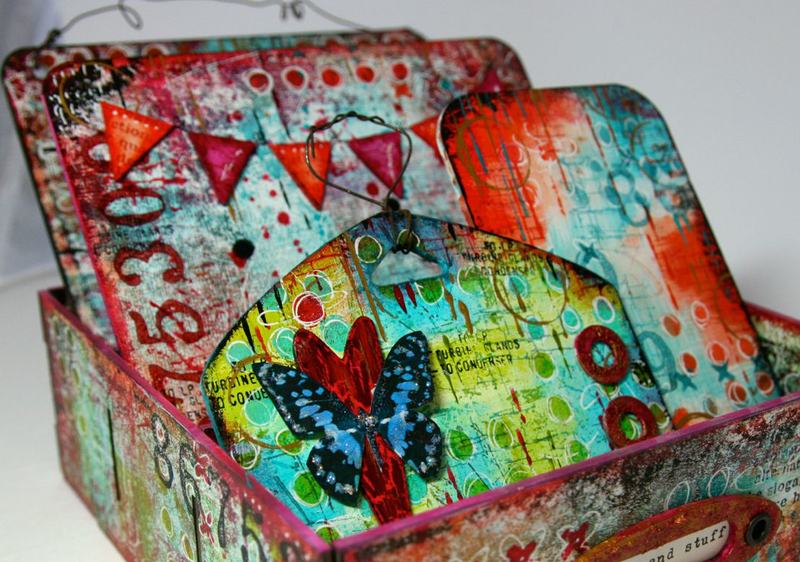 I am delighted to be sharing my birdhouse with you today for Tando's 'Anything Goes' challenge this week. The 3 piece Christmas Birdhouse is laser cut from sturdy greyboard and comes with holly flourishes, bird, branch and the word Merry Christmas as embellishments, along with a wooden dowel and pre-cut holes making assembly so easy! 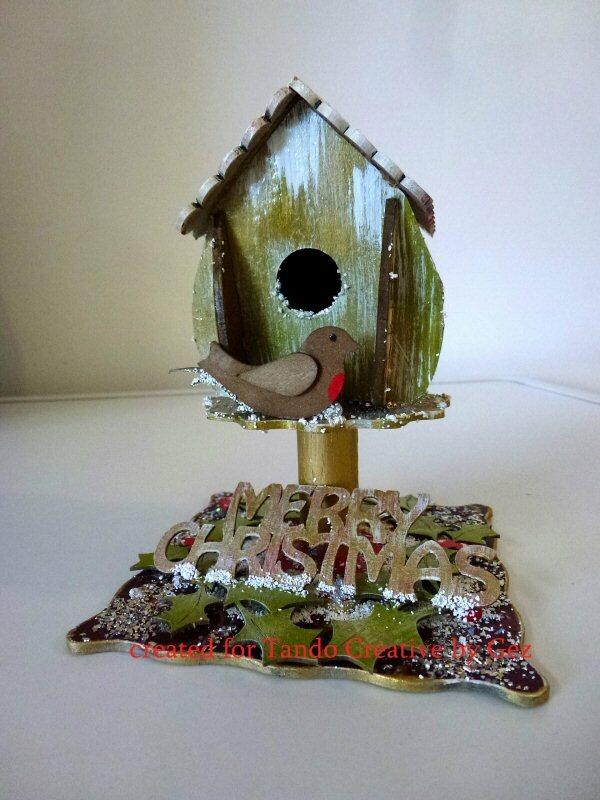 This gorgeous [Christmas Birdhouse] kit can be decorated in any style you fancy and made to match your home decor or can make the perfect gift. The sides of the birdhouse were decorated using patterned scrapbook papers and once everything was dried and assembled, PVA glue was applied to the roof and base of the birdhouse then sprinkled with and glitters from the [Stampendous] Frantage Jewel Silver Kit and [White] kit to look like snow and frost! 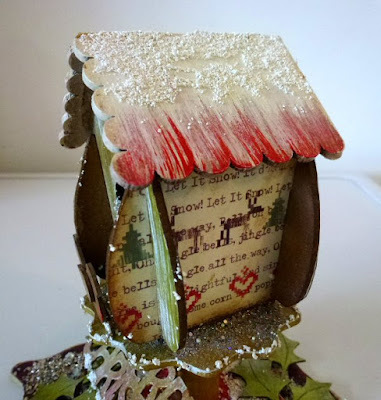 I hope you like this birdhouse as much as I do! Thank you for calling. Hi Everyone it's Brenda here with my very first post for the Tando Creative Team and I'm so happy to be here using Di's wonderful products and 'working' alongside so many very talented people. 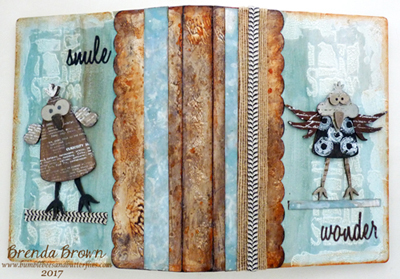 Those who know me will be used to my vintage, shabby, timeworn creations and although these whimsical birds are not normally my style I loved playing with their shapes and using more neutral colours on them to be the focal points on the front and back covers. 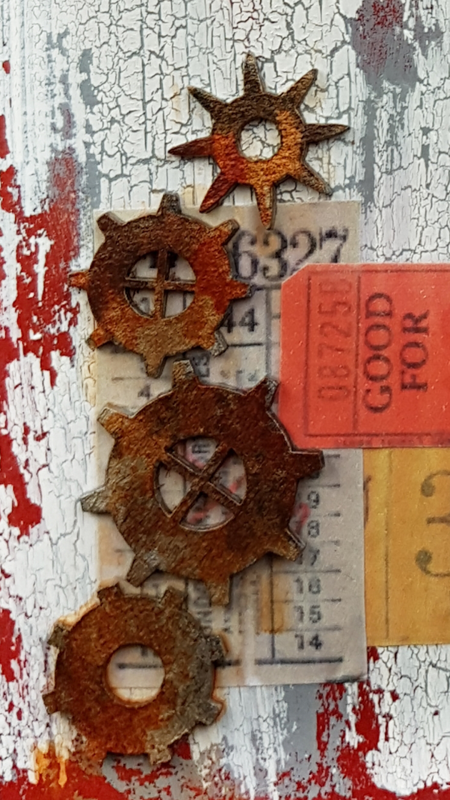 I had also taken some hessian ribbon and vintage narrow ribbon and used these on the wraparound spine to provide more detail and when I got home I used the DecoArt media acrylics to add a card border too. I have a couple of more photos over at Bumblebees and Butterflies if you'd like to visit me and I look forward to being back soon. Hi folks Dee here with my post for anything goes week. weekend and purchased this little fella. I had to draw my last one by hand. As always a little bit of bling.